With the holidays here, we wanted to take a minute to let our clients, friends and community know how grateful we are for you. In this season of thanks, we have many things to be grateful for. And one of them is working with the wonderful clients we have. Thank you for your support over all these years and we appreciate the opportunity to continue serving you, your families and businesses. Hope this season is filled with lots of happiness and joy, health, and prosperity. Happy Thanksgiving from the team at Linkenheimer CPAs & Advisors! Once again, we are honored to be recognized as one of the Best Places to Work in the North Bay for 2018. 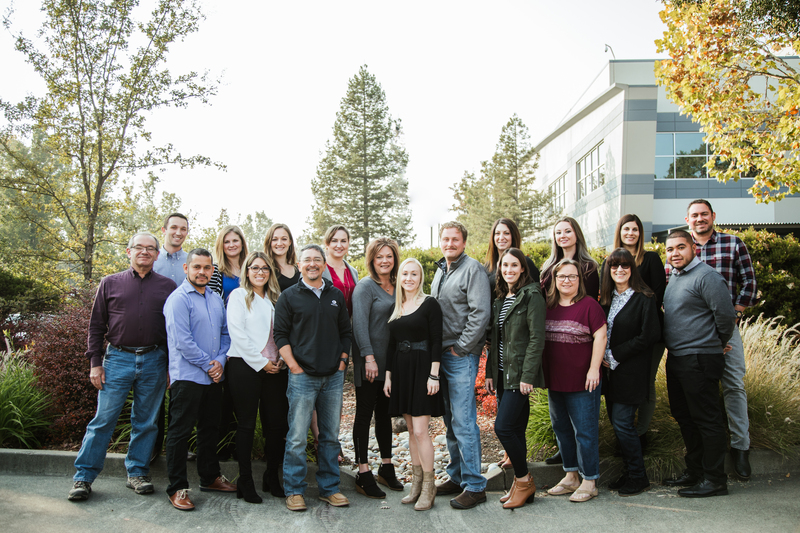 This is the 8th year in a row that Linkenheimer has been voted Best Place to Work in the North Bay and it is truly a testimony to the amazing, hard working team we have here and the community and clients that have supported us all these years. We are grateful to call Sonoma County home and it’s also why we feel the importance of giving back. Over the past year, we’ve volunteered over 1,000 hours as a firm to community projects locally and abroad, including Rotary, Redwood Empire Food Bank, Nicaraguan Eye Care Projects, Elsie Allen High School Foundation and many other incredible organizations focused on making our great community better for everyone. Linkenheimer LLP CPAs & Advisors is honored to once again be named one of the Best Places to Work in the North Bay for 6 years in a row. We realize that our people are the key to our companies success so we strive to create the best environment for them. Our focus on internal culture results in the best possible team approach to developing positive financial solutions. Linkenheimer also supports our team’s dedication to our local community through rotary memberships, non-profit boards and community service, in which over 900 hours a year are committed to bettering the community we call home. In addition, our firm actively supports free mobile eye care clinics and the construction and staffing of a surgery center in the remote San Juan River region of Nicaragua. Your support of Linkenheimer helps provide eye care and advanced diagnostic and surgical capacity in a region where these services do not exist for the 26,000 inhabitants. We’re a local business making a global impact with the help of our clients. SANTA ROSA – Realizing that its people are the key to the company’s success, Linkenheimer strives to create the best environment for them. Its focus on internal culture results in the best possible approach to developing positive financial solutions. The company sponsors a golf tournament every September to get together as a group. “If we hit our numbers, we have a bonus trip every year,” Mr. Musson said. “Last year was Nicaragua.” This year is likely to be a trip to Mexico. Year-end tax planning could be especially productive this year because timely action could nail down a host of tax breaks that won’t be around next year unless Congress acts to extend them, which, at the present time, looks doubtful. These include, for individuals: the option to deduct state and local sales and use taxes instead of state and local income taxes; the above-the-line deduction for qualified higher education expenses; and tax-free distributions by those age 70-1/2 or older from IRAs for charitable purposes. For businesses, tax breaks that are available through the end of this year but won’t be around next year unless Congress acts include: 50% bonus first-year depreciation for most new machinery, equipment and software; an extraordinarily high $500,000 expensing limitation; the research tax credit; and the 15-year write-off for qualified leasehold improvements, qualified restaurant buildings and improvements and qualified retail improvements.